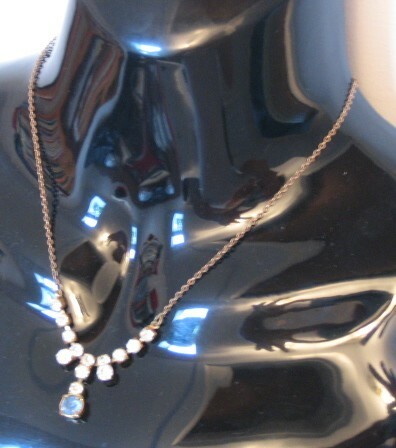 Vintage 1950s gold necklace with blue and white brilliants. 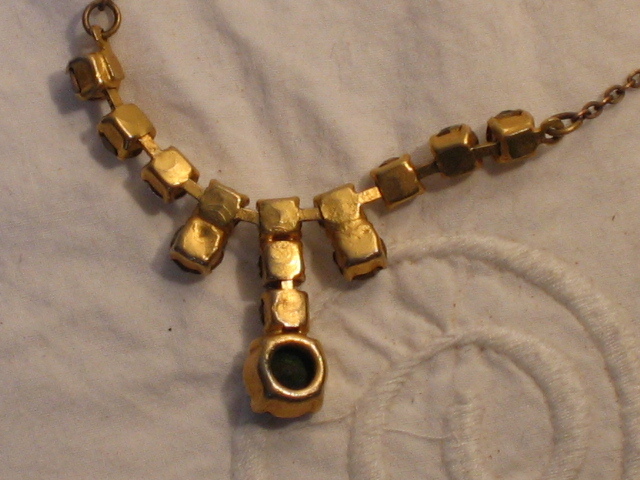 Here is a really pretty necklace of shiny stones on a fine gold chain. 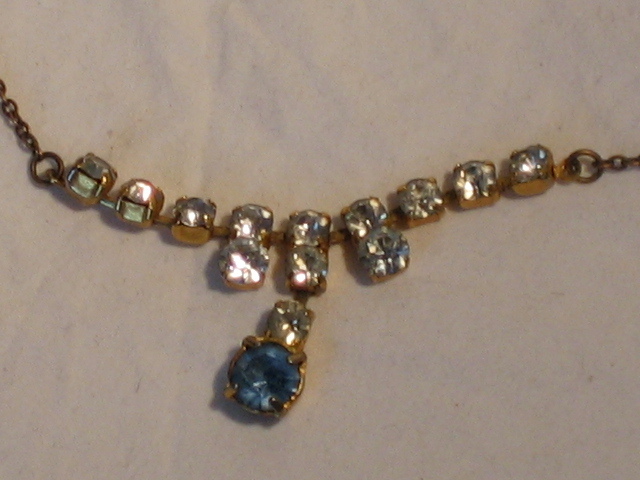 There are a total of fourteen stones, including one large blue one which I believe is an aquamarine, the stone for sympathy, trust, harmony and friendship. I assume the white stones are not diamonds! 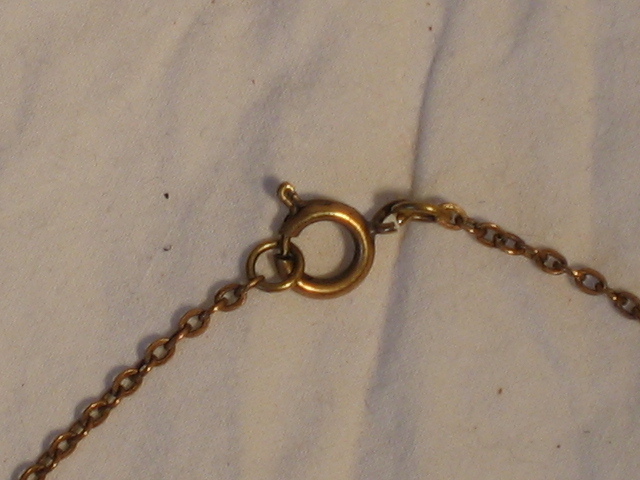 The necklace is in excellent condition for its age, with no obvious faults or flaws. It measures approximately 16 inches (42 cms) with the largest stone being about ¼ inch in diameter.